Capital One has been a major player in the credit-card arena. They expanded into the retail-banking space by acquiring three regional banks — Hibernia, North Fork and Chevy Chase Bank. They became one of the ten largest banks in the nation based on deposits after acquiring ING Direct. 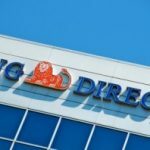 ING Direct was one of the most popular online savings banks among financially savvy consumers. When Capital One bought them in early 2012, the accounts transitioned and were re-branded to form the new Capital One 360. The Orange Savings account became 360 Savings and the Electric Orange Checking took on the name of 360 Checking. I have had an ING Direct account for almost a decade at this point, so when I heard the news that my ING Direct accounts would now be Capital One accounts, my first reaction was apprehension. I was not sure whether the features and benefits that made me stay with ING for that long would last. Now that the transition is complete, the major change amounted to a change in color from orange to red. The products and benefits have stayed the same or become better in some cases. Currently, Capital One 360 offers three savings products — 360 Savings, Certificates of Deposit (CDs), and the Kids Savings account. This is traditionally the most popular high-yield savings account. It is advertised as a “no fee, no minimum, no catches” account. The rates have been competitive and, as of this writing, rank among the top few in the nation. (You can see Captial One 360’s latest rates in the table below.) One of the highlights of this account for me is the mobile/computer deposit option using their CheckMate feature. Deposits can also be made by linking to other banks, setting up a direct deposit or, the old fashioned way, by mailing a check. I am a big fan of targeted savings accounts. 360 Savings makes it much easier to accomplish this by letting you open up to 25 accounts and giving nicknames to each of them. You can have one account for each of your goals. For those who want to lock rates, Capital One 360 offers a suite of certificate of deposit products with terms ranging from six to 60 months. You can choose to have the interest paid to you either annually, monthly or at the end of the term. Interest on CDs is accrued daily and compounded monthly. Like most CD products, there is an early-withdrawal penalty. If your CD term is 12 months or less, the penalty is three months of interest; for CDs longer than 12 months, the penalty is six months of interest. This means if you have a one-year CD and you break the CD after one month, you still pay three months of interest, so you would lose some of your principal. The Kids Savings account works pretty much the same way as the regular 360 Savings. All the features of the 360 Savings are available for this account as well. 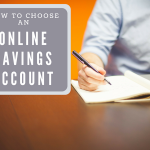 The added advantage to this type of account is your kids can have access to those accounts. They are given their own login so they can check their balance, download statements and change basic information (account nickname, PIN, and saver ID). They cannot move the money, however. That requires the help of an adult. Capital One 360 also offers two checking products — 360 Checking and Teen Checking (Money account). 360 Checking is a fee-free checking account with no minimums. You can send money to family and friends and pay bills using their Person2Person payment feature. With the ATM card, you can access more than 40, 000 Allpoint and Capital One ATMs. 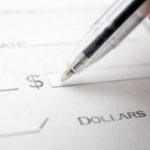 Deposits can also be made via the CheckMate feature, direct deposits, bank-to-bank transfers or by mailing a check. Similar to the Kids Savings account, this account is a checking account for your teenage kids. You and your teen can manage the account and keep track of the spending. Teenagers can do pretty much anything with this account as with a regular checking account except transfer money out of the account. Capital One 360 also offers various business accounts, home loans, investing and retirement products. Deposit accounts are federally insured up to $250, 000 per depositor with FDIC Certificate #4297 of Capital One, N.A. Whenever I needed help, I found the customer service to be good. I was always able to talk to a real person without waiting for long. The website is also very user friendly. Overall, Capital One 360 is a strong competitor in the online-banking arena.